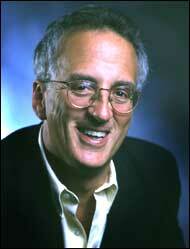 Andrew Zimbalist is the Robert A. Woods professor of economics at Smith College and one of the most prominent sports economists in the land. (Yes, this is a big day for Andrews.) His most recent book — he’s published 18 — is The Bottom Line: Observations and Arguments on the Sports Business. He’s written broadly for the media, appeared all over the TV and radio, and is on the editorial board of the Journal of Sports Economics, as well as other journals. These are obviously turbulent economic times, and we wanted to know how much the turbulence is affecting sport. So we’ve put a few questions to Andrew, including one (the first) from a reader named Kenn Fong. Thanks to Kenn and Andrew. Perhaps, if you leave more questions in the comments, we can persuade him to answer a second round. What do we really know about a sports team’s value to its community? I am wondering whether a community should pay for a venue for its team. Here in Alameda County in California, we are still paying for the Oakland Coliseum renovations, which were used, along with guaranteed sell-outs, to lure the Ray-duhs back from Los Angeles. Thanks, Kenn Fong. The question at hand is phrased broadly: What is “a sports team’s value to its community?” The answer is clear. Beauty is in the eyes of the beholder. All of the independent, scholarly research on the issue of whether sports teams and facilities have a positive economic impact has come to the same conclusion: One should not anticipate that a team or a facility by itself will either increase employment or raise per capita income in a metropolitan area. Generally, the reason for this is threefold. First, most of the spending at a stadium or arena is from residents of the metro area; as such, it is simply redirected expenditure within the local economy, e.g., from the bowling alley or restaurant to the ballpark. Second, much of the income generated by the team leaks out of the local economy, as owners and players save a substantial portion of their earnings in the world’s money markets or spend their income outside the host city. Third, in the typical case, the city and/or state contributes roughly two-thirds of the financing for the facility’s construction and takes on obligations for additional expenditures over time. However, in many more recent cases, the owner of the team agrees to pick up a larger share of the ballpark financing and/or to invest in development projects around the stadium or arena. In these instances, it is possible to anticipate some development benefits, but the devil is in the details. Pro sports have a variety of revenue streams, of course, including ticket sales, concessions, licensing, and ad revenue both from the broadcasting of games and via corporate sponsorship. Given the current economic hard times, how much pullback will there be in advertising and sponsorship as well as other revenues, and how broadly (and how long) will that affect sports teams? Generally, the sports industry has been insulated from mild recessions. This is due to the fact that, depending on the sport, there are long-term contracts that guarantee revenues (e.g., four- or five-year television deals), and fans tend to give up other consumption before they cut back their consumption of sports. The present downturn is, however, both much more severe and likely to last considerably longer than the typical post-WWII recession. Moreover, the revenue-generating model in pro sports has been gentrified over the last 20 years, becoming more dependent on the sale of premium seating, corporate sponsorships, and catering — all expenditures likely to be more sensitive to economic conditions. Baseball was the only thriving team sport during the 1930’s. Its attendance fell 40 percent between 1930 and 1933. No one should assume that professional sports today will not be significantly impacted by the present crisis. Some sports, like NASCAR, will be affected more acutely. NASCAR racing teams receive over 70 percent of their revenue from sponsorships and the lion’s share of this is from the automobile industry. There will be a major impact here. Other sports — like the N.F.L., which receives over half of its revenue from national television deals that last through 2011-13 — will have a softer landing; but even in the N.F.L., certain teams will be heavily impacted. The NY Giants, for instance, are building a $1.6 billion stadium with the Jets. Much of the financing for this facility has come from auction-rate bonds, a market which collapsed and, consequently, interest costs exploded. The Giants lost their protection from this interest rate explosion when Lehman Brothers went bankrupt. Some estimates have put the Giants cost at near $100 million from the Lehman collapse. A team in the W.N.B.A. closed its doors, tournaments have been eliminated from the L.P.G.A. tour, and the Arena Football League has suspended its next season. N.B.A. teams have used deep discounts on tickets to maintain attendance. The offseason players’ market in M.L.B has been somnambulant. The question of how deep these cuts will go and how long they will last is an imponderable. One might as well ask Ben Bernanke or Hank Paulson these questions about the U.S. economy. The answers depend on macropolicy in the U.S. and the rest of the world, as well as currently unknown behavior in financial markets. What we do know is that the sports industry will reflect, perhaps with some moderation, the vicissitudes of the overall economy. It would seem that guaranteed vs. non-guaranteed salaries is the biggest difference between N.F.L. and other sports leagues; true? How can there be such a gulf, and how does this issue affect the games? It is true that there are virtually no long-term guaranteed contracts in the N.F.L., but, in their stead, N.F.L. teams offer players substantial signing bonuses. Together these signing bonuses can amount to half or more of total player compensation. What do you make of the Yankees committing to nearly $.5 billion in contracts this off-season? The Yankees spending certainly stands out. 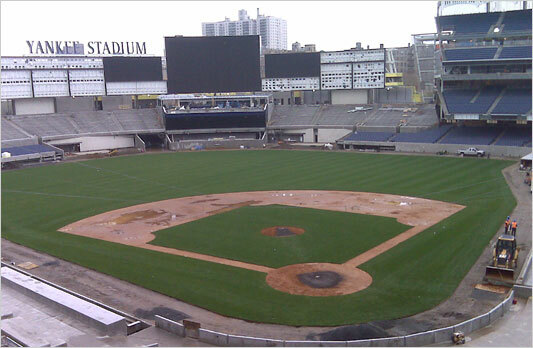 The Yankees need their $1.3 billion investment in their new stadium to pay off. It will only pay off if they fill their stadium and its high-priced seats. The best way to make this happen is to put a competitive, compelling team on the field. The economics of running the Yankees is different than that of any other ball club. It should also be pointed out that the Yankees are playing by baseball’s rules, which included the team paying over $120 million in revenue sharing and over $20 million in luxury taxes in 2008. The Yankees are playing a high-stakes game, especially in this weakened economy. It may pay off and it may not. Wow, this guy has an awesome job. Please answer some if not all of these questions and more, bro. How much of the price of the average pro sports franchise is due to its actual worth as a profit-generating business? Are these teams just the ultimate baseball card? How much money do they save by colluding and having a salary cap? Does the NBA age minimum save teams money by pushing the 4-year rookie contract further into a player's prime? What's the long-term economic value of a pro-sports championship? What's the long-term competitive value of a college-sports championship? Under what conditions do increased firm wages (player salaries) lead to increased product prices (ticket costs)? How does the tax code distort spending on sports teams? Is something wrong with a society that creates subsidies to create millionaire utility infielders playing within earshot of extreme poverty, failing schools, and crime filled communities? Green Bay is the exception that proves the rule. By being municipally owned the teams has thrived in a generally small market and has demanded few of the capital costs that other sports teams have. The Packers generate an exceptionally high ROI for their community due to its government ownership (much in the same way as many municipal power authorities have). If the absence of wide scale municipal ownership of sports teams the same regulatory structure that utilities face could be applied to sports teams to deny the owners monopoly profits. What thoughts do you have on the BCS? Is there more money to be had in a college football playoff system? Why hasn't this happened? How can it happen? Nothing wrong with your thinking. It's what made you the great nation that you are. If you would like to build a new stadium , then you as a business should raise the funds to do so by yourself, not by asking the goverment. I have a question, isn't this type of funding the same as receiving bail out money? The only thing that is different is the order in which the money is received. Sports teams lobby government for money they don't have to build a stadium, for the long term good of the economy. Where as the auto industry lobbies the government for money that they spent which they didn't have, for the long term good of the economy. How long should it take for a team to rebuild? It seems that 2-4 years is the conventional wisdom. How many years should it take for the Detroit Lions expect to have a winning season, to make the playoffs, to win a Super Bowl, etc.? What will be over-performance? What will be under-performance? A related question would be which positions matter more - General Manager, Head Coach, or Coordinators to the above? When one weighs the cost and benefits of creating a college football playoff system, it becomes quite clear that there SHOULD be a system put in place. There are many benefits (increased revenue from additional nationally televised games, schools acquire more money, etc), as well as positive externalities (making the public happy!). The only cost I can think of, besides the production of the games, is that the BCS committee would have to admit that there is a better system out there than the one they created. Is there something I am missing? Why has they playoff system not been implemented yet? On the whole things seem to be far worse than the various leagues want to acknowledge. I'm an educator of Mathematics in some college in Iran and my degree is MD (53 years old). I interested in to sports economics specially football economic, but in my country there is not this course in my country.please guide me. « Previous PostCan This Possibly Be Legal?